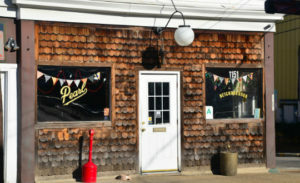 If you’re in the market for both a low key, hip place to enjoy some adult beverages, The Pearl has got you covered. Located in the heart of the Germantown, it’s the newest edition to the area’s burgeoning bar and restaurant scene. (Although, technically, it was a different bar before becoming The Pearl of Germantown.) Step inside and you’re greeted by a simple decor that’s light on design but heavy on old-school vintage feel–think of the inside of any standard dive-y joint and you get the idea. But like any good hometown bar worth it’s margarita salt, that’s not what brings them to the Pearl. The Pearl of Germantown certainly has whatever poison for whatever ails you. Their selection of beers is impressive, both on tap and by the bottle and can. Everything from high-end local, regional and national brews to the cheap as dirt staples like Miller High Life and PBR. Where the Pearl excels, however, is in the arena of spirits. Sure, you can get cocktails at basically every bar in existence, but The Pearl takes particular pride in their mixed drinks. Particularly, one should try their take on an old classic, the Manhattan. Though be forewarned: if you’re hungry, you’d better eat before you come. They do offer food, but not much outside of snacky treats. 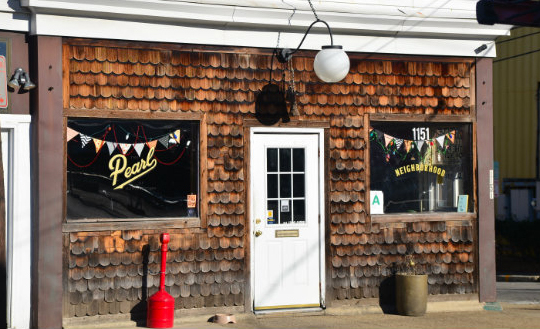 Chips, pickled eggs, beef-jerky and similar fare is the extent of what The Pearl has to offer. The good news is Germantown is stocked with other restaurants and bars that serve more substantial offerings, so you shouldn’t have any problem filling your belly from somewhere nearby before adjourning to The Pearl. 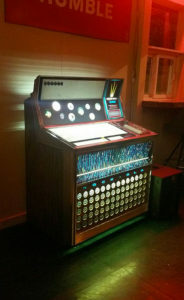 Perhaps the coolest draw for The Pearl is their vintage, 45-only, free to play jukebox. 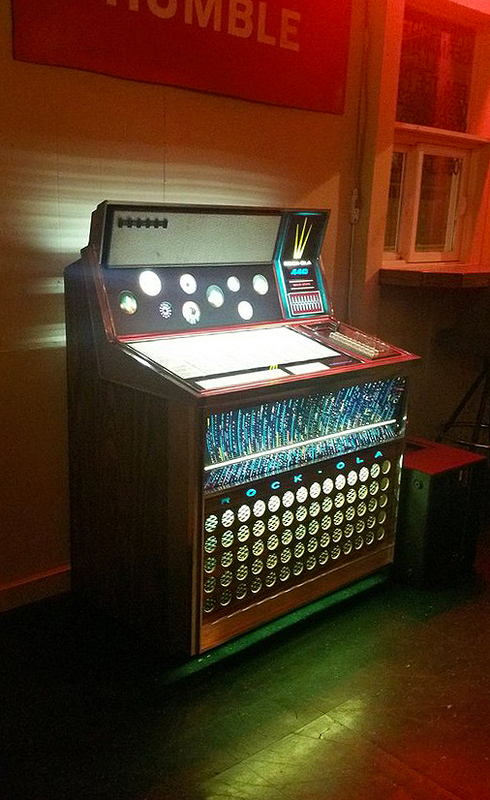 It’s a level of unprecedented authenticity that your average corner bar generally doesn’t have anymore. 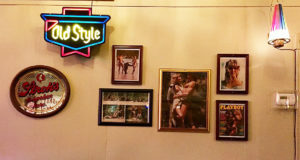 While it might not make your drinks taste any better (or cheaper), it certainly helps them go down a bit smoother while also giving the bar a nice dose of retro panache. Another great feature unique to the bar is their “drinking wheel” (or wheel of death if you’re not careful). 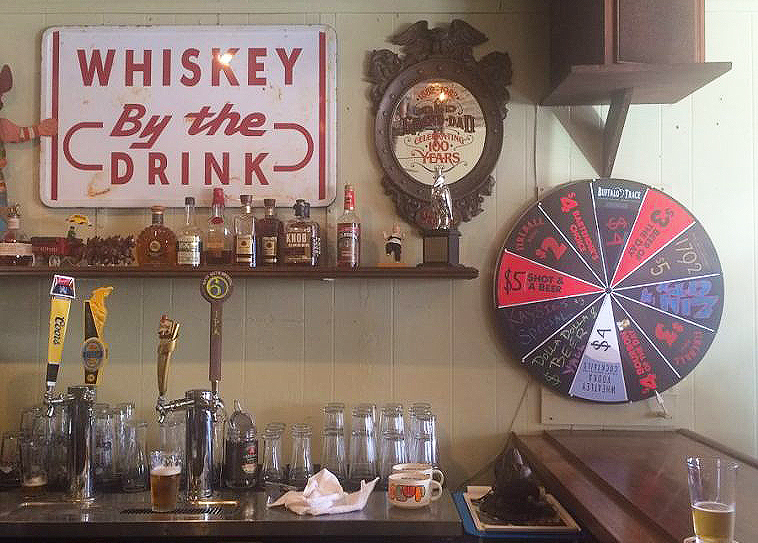 Patrons spin a wheel where they can potentially land on great deals such as any beer for a $1, a $5 pour of 1792 bourbon or a $4 bartender’s choice. Customers are expected to purchase whatever deal they land on, but it’s all in good fun and you can always give the drink away to someone who might need it more. Or if you’re just not a fan of Fireball shots, even at $2 a pop. Ultimately, what makes the Pearl is its vibe. Who doesn’t sometimes want to go where everybody knows your name? Although they can sometimes be hard to come by, a regular, no-frills, glasses sliding down the bar hangout is a necessity for any connoseuier of adult beverages. And that’s exactly what The Pearl of Germantown offers. It’s the bar down the street where you get people from all walks of life, ages, political leanings. There’s the 40ish year old insuranace salesmen ming\ling with 30ish year old hairsylists talking to the 20ish year old baristas. Perhaps, even a set of extraordinarily cool grandparents playing Rummy in the corner. And, of course, they’re always glad you came.